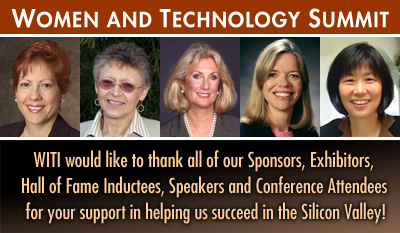 With more than 1000 attendees and over 25 breakout sessions, WITI's Women and Technology Summit, October 29-31, 2006 was jam packed with great information, outstanding networking opportunities, extraordinary WITI Hall of Fame inductees and fascinating key note speakers. Video: Are WITI women really that tech witty? Technical Writers - the Antidote for High Tech "Geek Speak"
Engineers, scientists and business professionals are now in cubicles and labs scattered all over San Diego. They help make up the backbone of the electronic, telecommunications, software, biotechnology and bio-medical companies that are shaping San Diego's economic future. These high tech pros are not only changing, improving, and remaking San Diego, but are impacting the entire high-tech business world. Making a career change is one of the toughest job-search challenges. For clarification, "career change" means much more than "job change." A career change means choosing a completely new profession or industry. A "job change" is simply changing employers within the same industry and profession. 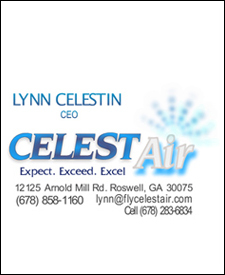 Superior air transportation, customized to meet the needs of individual(especially women),customers. We utilize smaller regional airports where you do not wait in lines, or pay to park. Up to 6 travelers can bring their luggage, laptops, and meals aboard and we can make multiple stops if desired. Our newly renovated and upgraded fleet provides passengers movies, DVD's, game cubes, digital music,and a private potty on board. Take a break from driving anywhere over 2 hours away,while also saving on hotel costs. We can have you home the same day on your schedule, at a price that is affordable. WITI is pleased to offer you convenient savings at over 1,000 quality merchants through our partnership with CareClicks.com. Save time, money and support The WITI Foundation with this one stop shopping experience. There is no cost to join, no personal information is needed, it's safe and secure AND a percentage of your purchase supports the WITI Foundation. The amount of contribution is listed right on your screen and by starting your online shopping with WITI, some merchants offer special deals just for you. Check it out at: www.witi.com/mall. WITI Entrepreneur eSeries Session #1: "From Idea to Formation"
Women in Games International presents: WIGI Community Mixer in Los Angeles! The Annual Access EN Dinner Event featuring Bob Larsen, The Rushmore Group "Taking Your Team to the Top"